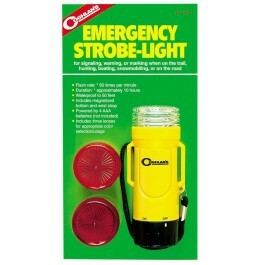 Coghlan's Emergency Strobe Light is a great tool to have in any outdoor adventure. Designed to help you with sending signals, warnings, making marking when on the trail, hunting, boating, snowmobiling, or just on the road. It flashes up to 60 times per minute for approximately 10 hours. 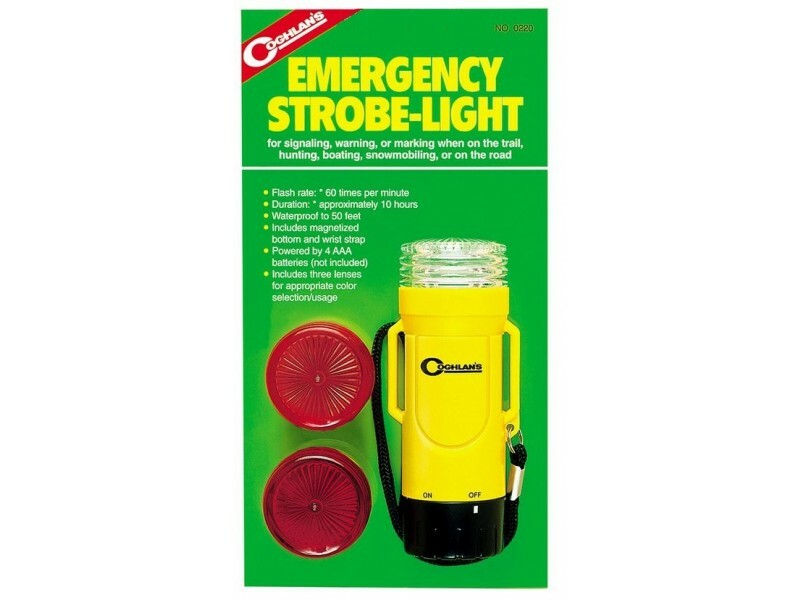 Coghlan's Emergency Strobe Light includes magnetized bottom and a wrist strap and three lenses for appropriate color selection/usage. 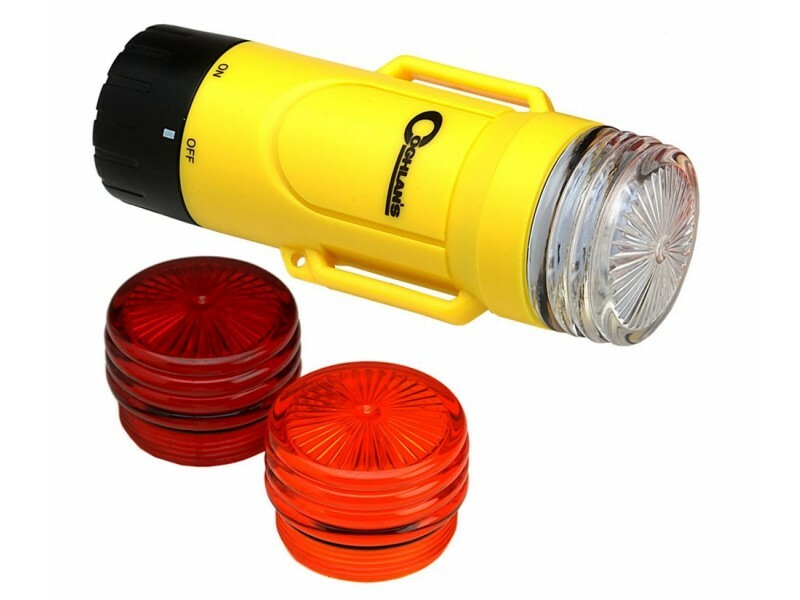 The best part it is waterproof to 50 feet, so no fear when wanting to light a signal while kayaking.